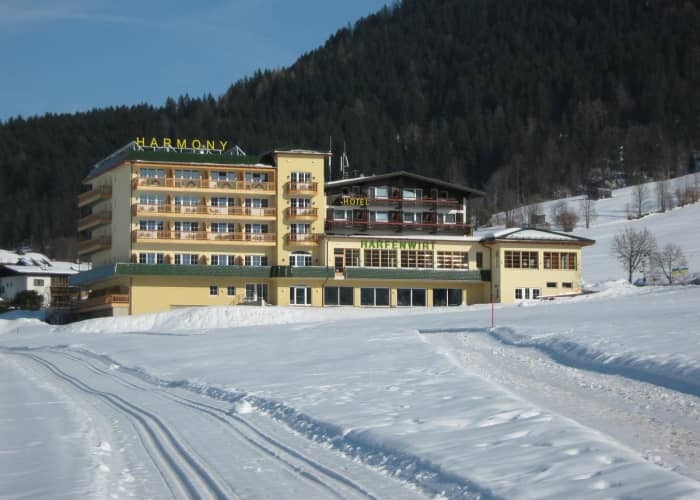 Hotel Harfenwirt is a traditional, family-run hotel offering friendly service and comfortable accommodation. 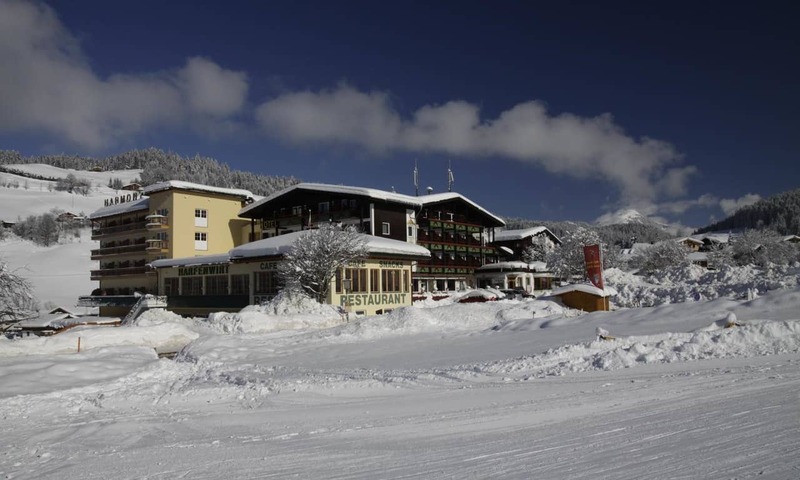 It boasts an excellent location directly on the slopes. 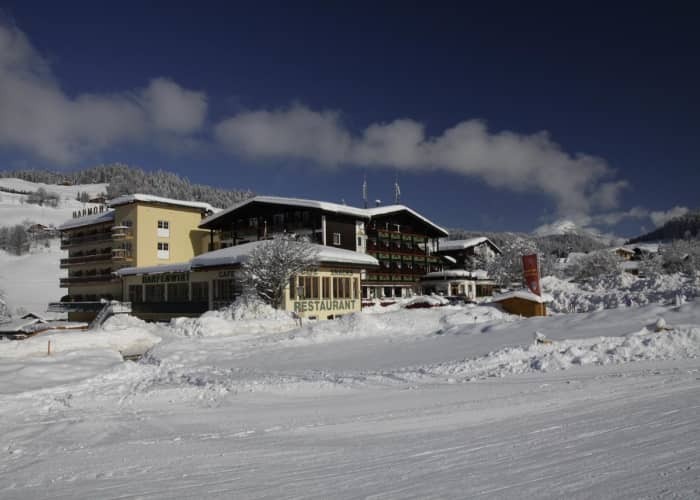 Enjoy easy access to the ski area with the nursery slopes, ski school meeting point and nearest lift right across the road. A free ski bus serving the entire valley stops outside the front door. 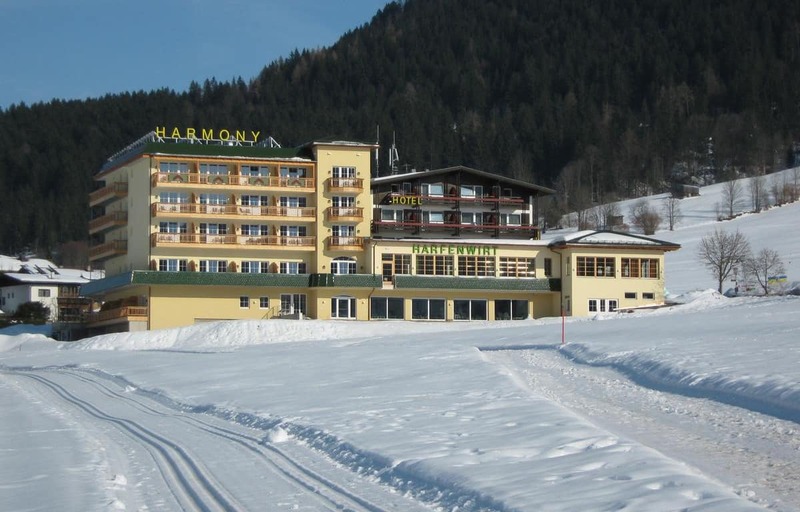 There are plenty of leisure facilities on offer at the Harfenwirt giving you the opportunity to relax after a day on the slopes, and ease those aching muscles! A large sauna area, a jacuzzi and a whirlpool will help you recharge after an exhausting day on the pistes. Take a relaxing dip in the lovely indoor swimming pool. Breakfast and dinner are included in the price. A continental buffet style breakfast will prepare you for an action-packed day on the slopes, while a delicious three-course dinner will be served in the evenings. A Tyrolean evening is on once a week where guests will get the chance to experience traditional live music! • A local tourist charge of approx. 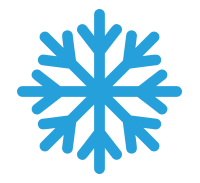 EUR2.5 per person per day is payable locally. • This resort does not have a rep service. 24-hour emergency number will be provided. This property is offered on a Half Board basis. Buffet breakfast is included. Dinner is 3 course. The economy rooms offer a simple, yet comfortable and cosy room option. They are smaller in size than other available rooms and consist of 2 separate single beds. The single room is perfect for solo travellers who want comfortable cosy accommodation. With the added bonus of a balcony, you can take in the snow covered surrounds from your own room. These superior rooms are located in the newly rebuilt part of the building, located 150 m away from main hotel. They offer a superior, fresh accommodation option. The room consists of a double or twin beds and a further pull out bed that can sleep an extra person if required. The room also has the added bonus of a balcony, perfect for taking in the fresh alpine air. This room comes equipped with an Austrian twin bed and a further single bed that can sleep 1 extra guest. 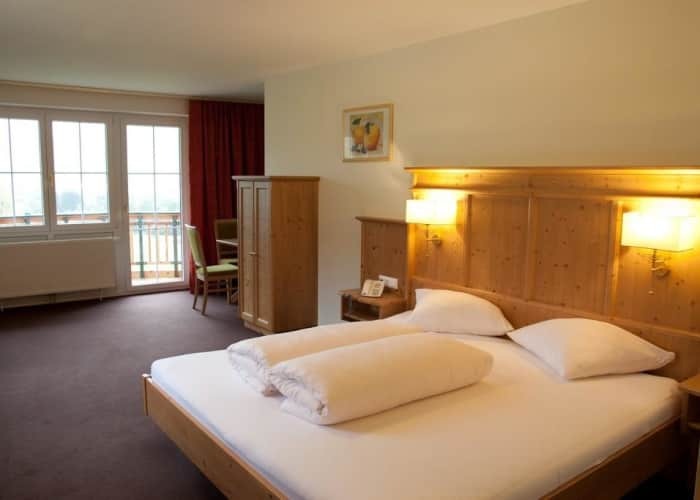 The cosy, comfortable room comes with a balcony to allow guests to enjoy the alpine air from the comfort of their own room.